That leaves only one other event to recognize. This will be a second chance (and the first one of the New Year) to enjoy Johnston’s trumpet work. This time he will be leading his Elevation Brass Quartet, whose other members are Erik Jekabson on trumpet, Danny Lubin-Ladin on trombone, and Sophie Powers on bass trombone. The group will play both original compositions and arrangements. This performance will take place this Saturday, January 5, at 7:30 p.m. The venue will be Holy Innocents’ Episcopal Church, which is located in the Mission at 455 Fair Oaks Street. For those unfamiliar with the area, this is located between Guerrero Street and Dolores Street and between 25th and 26th Streets. That makes it convenient walking distance from both the BART 24th Street station and the Muni J line, which stops at the corner of 24th Street and Church Street. General admission will be $20, payable at the door. SFCO Annual Holiday Concert is This Afternoon! This is about as tight a last-minute announcement as readers are likely to encounter on this site. However, the annual San Francisco Chamber Orchestra (SFCO) concert scheduled by Music Director Benjamin Simon to take place on the threshold between the old and the new year will receive the first of its three performances in San Francisco this afternoon. Simon tends to favor the First Viennese School in the programs he prepares for this occasion; and this time all of the “big three” composers will be represented in a rather grand manner that will involve four guest artists. The program will begin, naturally enough, with an overture. In this case it is about the only selection of Joseph Haydn’s Hoboken XXVIII/9 opera L’isola disabitata (the desert island) that receives much attention. That attention arises from how well it represents that composer’s Sturm und Drang (storm and stress) period. Haydn’s overture will then be followed by three of Wolfgang Amadeus Mozart’s concert arias. These will feature the first soloist on the program, soprano Christine Brandes. In order of performances, the arias will be K. 583 (“Vado, ma dove?”), K. 528 (“”Bella mia fiammi”), and K. 505 (“”Ch’io mi scordi di te”). The remaining soloists will be featured in the final selection, Ludwig van Beethoven’s Opus 56 (“triple”) concerto in C major. This is basically a concerto for piano trio and orchestra. The soloists will be the members of the Delphi Trio, violinist Liana Berube, cellist Michelle Kwon, and pianist Eunmi Ko. The San Francisco performance of this program will begin at 3 p.m. this afternoon, Sunday, December 30. The venue will be Herbst Theatre, which is located at 401 Van Ness Avenue on the northwest corner of McAllister Street. As is always the case, there is no admission charge for all SFCO Main Stage Concerts. Seating for members will begin at 2 p.m. Doors will then open for everyone at 2:45 p.m., at which time member seating cannot be guaranteed. This concert has become a seasonal favorite, which plays consistently to a full house. Early arrival is highly recommended. During past winter months, musicians participating in the Trinity Alps Chamber Music Festival, held every summer, have come to the Bay Area to present projects centered around the works of Ludwig van Beethoven. Festival Founder and Director Ian Scarfe has called these concerts his Midwinter Beethoven series. According to my records, next month will be the first time that this annual series will be a “festival,” presenting two concerts, rather than a single one. The first concert will be devoted entirely to Beethoven, while the second will juxtapose his music with works composed in both the twentieth and 21st centuries. The first program will be devoted to two compositions from the composer’s “late period.” The Opus 131 string quartet in C-sharp minor will be paired with the Opus 110 piano sonata in A-flat major. Scarfe will be the pianist in the performance of Opus 110. In the second program Scarfe will provide accompaniment for selected violin and cello sonatas by Beethoven. He will also accompany both violin and cello in a performance of Dmitri Shostakovich’s Opus 67 trio in E minor. The program will also present the premiere of a new work by the 2018 composer-in-residence at the Trinity Alps Chamber Music Festival, Max Stoffregen. As has frequently been the case in the past, Scarfe has arranged the San Francisco performances of both of these programs through groupmuse. The first program will begin at 7:30 p.m. on Saturday, January 12. Scarfe and his colleagues will return to Monument, which is located in SoMa at 140 9th Street. Hosted by Daisy Stanton, admission will be at least $10 for the musicians, along with a $3 reservation fee. Payment may be made at the door. The Web page for this event includes an interactive map showing the location of the venue and a hyperlink for placing reservations. Guests are invited to bring their own drinks; but, because they may be alcoholic, all ticket-holders must be aged 21 or older. Doors will open at 7 p.m. The second program will begin at 6:45 p.m. on Sunday, January 20. This will be a house concert near Fort Mason in the Marina District hosted by Craig Henderson. Specific information will be provided to those who claim a reservation through the hyperlink on the Web page for this event. Again, admission will be at least $10 for the musicians, along with a $3 reservation fee. Guests are again invited to bring their own drinks; but, because they may be alcoholic, all ticket-holders must be aged 21 or older. Doors will open at 6 p.m. Because this is a much smaller venue than Monument, making an early reservation is strongly encouraged. The New Year will begin with the launch of a cycle of recordings produced by Hyperion Records to account for the music of Camille Saint-Saëns. The primary objective will be to account for all of that composer’s five symphonies. 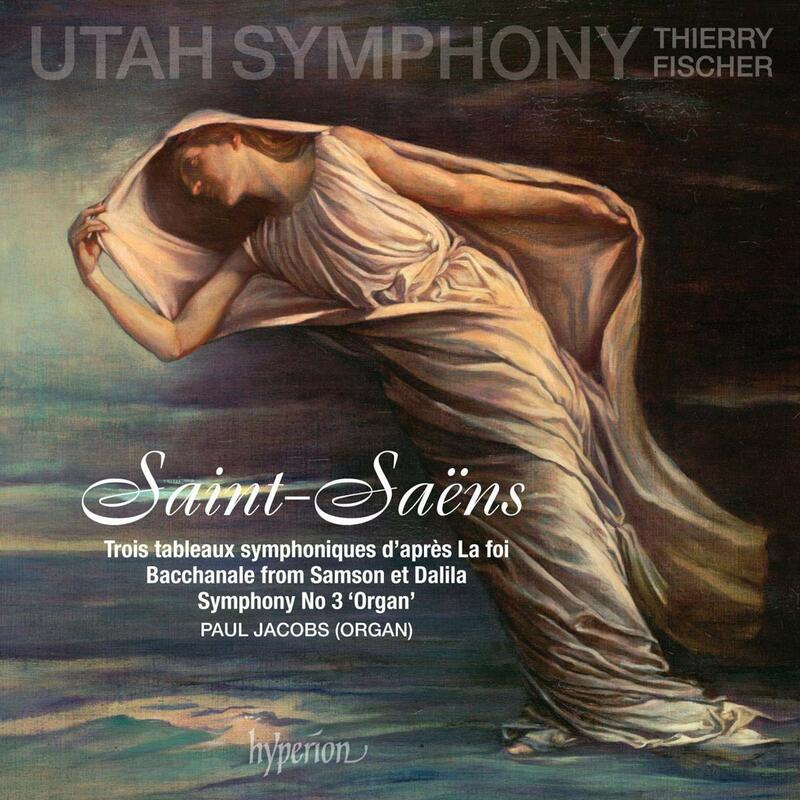 Performances will be by the Utah Symphony led by Music Director Thierry Fischer, making this the first commercial recording of all five symphonies by an American orchestra. The first release will be available this coming Friday. It includes only one of the symphonies, but that one is the best known of the five, Opus 78 (the third) in C minor, best known as the “Organ” symphony. The organist is Paul Jacobs, and the recording was made during concert performances in Abravanel Hall. The entire recording is based on the full program for those performances, which includes the instrumental “Bacchanale” from the final act of Saint-Saëns’ Opus 47 opera Samson and Delilah and three Opus 130 “symphonic tableaux” provided as incidental music for the play La foi (faith) by Eugène Brieux. As usual, Amazon.com has set up a Web page to process pre-orders for this new recording. The last time I wrote about Opus 78 was over a year ago after Warner Classics released a recording of the Orchestra dell'Accademia Nazionale di Santa Cecilia led by its current Music Director, Antonio Pappano. At that time I made the bold observation that “this is music that really does not deserve to be recorded, particularly for listeners who now experience music only through their ear buds.” I felt I could take that extreme position as one who had experienced performances of the symphony in two major concert halls, one on either side of the country. I still hold to my opinion. First woman: The food here is terrible. Second woman: Yes, and the portions are so small! While many may find this a matter of picking nits, when I listen to a recording of a pipe organ, I am as interested in the pipes as I am in the organist and the composers whose music is being played. When it comes to information about the organ that Jacobs is playing, the Hyperion booklet provides (in the language of those old women) bupkis. So perhaps I should not quibble over missing out on a physical experience when I have no way of knowing what was actually providing that physical experience! The two selections that precede Opus 78 are both reflections on the pre-Christian Middle East. The “Bacchanale” takes place in the temple of Dagon, celebrating how Delilah robbed Samson of his strength by cutting his hair. (The celebrants are unaware that Samson is about to bring down the house, so to speak.) Fischer provides a perfectly capable reading with the appropriate stirring conclusion; but, for those of my generation that grew up on such things as Saturday morning cartoons, it is hard to listen to this music without thinking of the music that Carl W. Stalling wrote for the Looney Tunes cartoon series or the ways in which composers from Spike Jones to Peter Schickele could add their own twists to Stalling’s techniques. Listening to the Opus 130 selections is a far less irreverent experience, but it reflects a seriousness that is no longer of our own time. Indeed, I often whether or not such a claim can be made of much, if not all, of the Saint-Saëns canon. I suppose I shall have to wait for the remaining two volumes before coming to any conclusions about exceptions to that claim. Franz Schubert’s D. 759 symphony in B minor is best known by its “Unfinished” nickname, since only two movements were completed. However, Otto Erich Deutsch’s thematic catalog also includes a sketch of the first nine bars of a scherzo movement. Schubert’s autograph includes orchestration information in the form of an annotated piano score, along with sketches for the elaboration of the entire movement. As the Wikipedia page for this symphony observes, the preceding century saw a variety of efforts to “finish” the symphony. In 1928, the 100th anniversary of Schubert’s death, Columbia Records even held a worldwide competition for a four-movement version of D. 759. (The results faded into obscurity not long after the awards were assigned.) More recently, there have been several performing versions that have appropriated the entr’acte music that Schubert composed to follow the first act of the play Rosamunde to serve as the fourth movement of D. 759, preceded by efforts to flesh out Schubert’s sketches into a complete scherzo movement with trio. 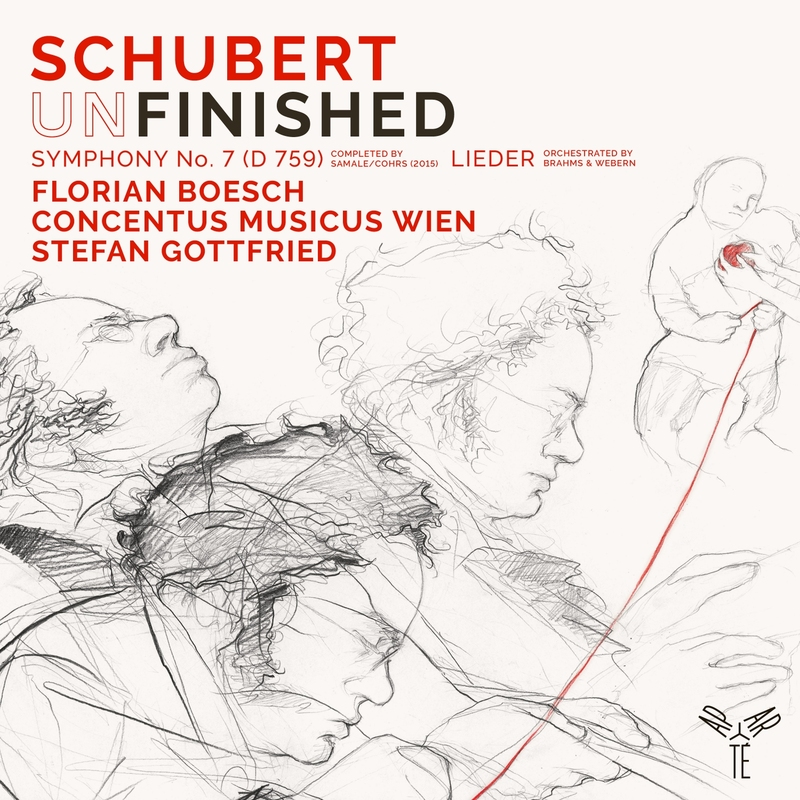 One week from today the French APARTE label will release a new recording of this “completed” version of Schubert’s symphony. It is the first recording to use the new (completed in 2015) Urtext edition of the symphony, which includes a performance edition of the scherzo prepared by Nicola Samale and Benjamin-Gunnar Cohrs and the Rosamunde entr’acte serving as the final movement. 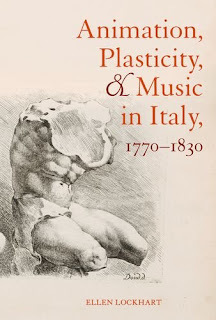 Cohrs prepared this new edition, along with a foreword consisting an extended essay, supplemented by a rich supply of musical examples, to explain how this performance edition came to be. (That essay is also available as a downloadable PDF file.) 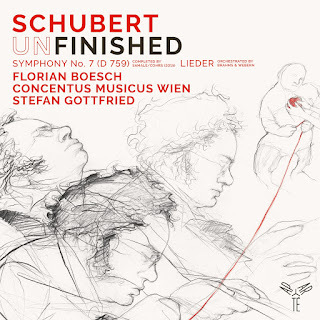 The performing ensemble on the recording is the Concentus Musicus Wien, initially founded for period-instrument performances of Austrian baroque music by Nikolaus and Alice Harnoncourt and now conducted by harpsichordist Stefan Gottfried. As usual, Amazon.com has created a Web page for this album from which pre-orders may be processed. So much for theory: how to these results play out in practice? Given Gottfried’s background as an instrumentalist, one might wonder how suited he is to conducting Schubert. 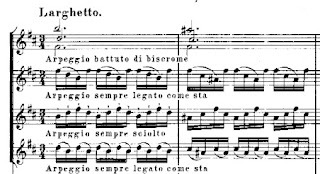 However, almost as soon as the exposition of the first movement is established, one can appreciate the crisp qualities of his approaches to both phrasing and dynamics. This is a performance in which the sharper edges of early nineteenth-century technique register far more effectively than many of those more syrupy approaches to Schubert that occupied too many of the conductors of the first half of the twentieth century. Indeed, Gottfried’s approach to the symphony’s first movement prepares the listener for the wild shifts in dynamic level that make for a symphonic scherzo decidedly unlike any that Ludwig van Beethoven ever wrote. On the other hand my own jury is still out on the wisdom behind the Rosamunde appropriation. This is probably a matter of personal taste, but I tend to prefer concluding movements that serve up a somewhat lighter touch. Obviously, there are exceptions; but I have always found a joyous quality that cuts across other movements that conclude Schubert symphonies (a joy that even works its way into at least some of the concluding movements by composers such as Johannes Brahms and Gustav Mahler). Perhaps it would be better to leave D. 795 in its “unfinished” form, even when the reconstruction of the scherzo is included. On the APARTE recording D. 759 is preceded by seven Schubert songs with orchestral arrangements of the accompanying piano parts. Four of those arrangements are by Anton Webern, and three are by Brahms. Here I have to “come clean” and own up to having my own dog in this hunt. Readers may recall that, at the beginning of this month, I wrote about a performance of the D. 911 Winterreise (winter’s journey) song cycle in which the accompaniment was provided by a string quartet with an added bass part playing an arrangement prepared by cellist Harold Birston. My overall impression was a positive one, frequently for transparency that is too often masked to a pianist who likes his damper pedal too much but also for the way in which the intonation of the strings often endowed some of Schubert’s dissonances with sharper edges. With regard to that latter criterion, I have to confess that I found most of the orchestral arrangements to be far too mushy to do justice to Schubert’s rhetorical skills. Indeed, to my surprise, the Webern arrangements tended to be mushier than those of Brahms! For that matter, Brahms seemed much more comfortable in both selecting instruments and balancing them than Webern was. To put it more politely, Webern’s skill set is a key asset where the music of Webern himself is concerned and not so much when he is arranging Schubert. On the other hand all of the songs were sung by bass-baritone Florian Boesch, who was clearly aware of all the rhetorical twists and turns in Schubert’s settings. Hopefully, I shall have an opportunity to listen to his Schubert performances when he has a good pianist accompanying him. 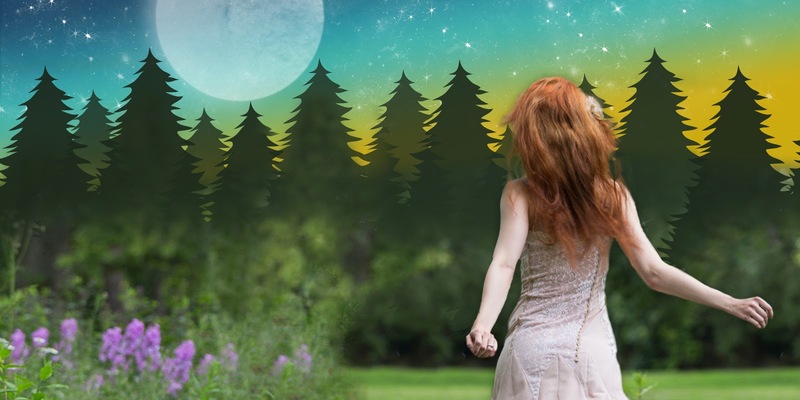 The first Lamplighters Music Theatre production of the new year promises to be an imaginative and delightful departure from the Gilbert & Sullivan tradition. Among the composers whose theatrical works have translated from the Broadway stage to the opera house, Stephen Sondheim has been particularly successful. The San Francisco Opera production of Sweeney Todd: The Demon Barber of Fleet Street, presented by David Gockley following a similar achievement with the Houston Grand Opera in 1984, made it onto my “memorable concerts” list for 2015. Sondheim provided both music and lyrics, working with Hugh Wheeler’s book. That joint effort first saw Broadway in 1979; but in 1973 the two collaborated on another memorable project, the creation of A Little Night Music, an adaptation of Ingmar Bergman’s film Smiles of a Summer Night. San Francisco performances will take place at the Yerba Buena Center for the Arts (YBCA) in the YBCA Theater, which is located at 700 Howard Street on the northwest corner of Third Street. There will be three performances, at 2 p.m. on Saturday, February 2, and Sunday, February 3, and at 8 p.m. on Saturday, February 2. Orchestra tickets are $64.50 and those in the Terrace are $54.50. Seniors (aged 62 or older) are entitled to a $5 discount in both sections; and there is a $25.50 rate for students, also in both sections. The Box Office can be reached by telephone at 415-978-2787. Tickets may be purchased online through the three hyperlinks assigned to the above dates. The Box Office is closed on Mondays and opens at 11 a.m. on all other days. It closes at 8 p.m. on Thursdays and closes at 6 p.m. on the remaining days. The Box Office also opens 90 minutes prior to each performance. Friday, February 1, 8 p.m.: The month will begin with a solo recital by guitarist Adam Levin. Levin is currently preparing an encyclopedic series of recordings entitled 21st Century Spanish Guitar. The the current plan is to release four albums, the first three of which are now available. His O1C program will present West Coast premieres of two solo sonatas, one, “Sonata Sefardí,” by Catalan composer, Salvador Brotons, and the other, “Yemanja Sonata,” by Spanish-Cuban composer, Eduardo Morales-Caso. Levin will also perform works by Joaquín Turina, Isaac Albéniz, Antón García Abril and Cristobal Halffter. Sunday, February 3, 4 p.m.: Ensemble San Francisco is a piano quintet that brings pianist Elizabeth Schumann together with the string quartet of Rebecca Jackson and Moni Simeonov (violins), Matt Young (viola), and Jonah Kim (cello). They will be joined by Jose Gonzalez Granero, Principal Clarinet of the San Francisco Opera Orchestra, who is also a composer. The string players will present his first string quartet, which was inspired by “Night of Sleepless Love,” a poem by Federico García Lorca. He will then join the full ensemble to perform the sextet composed by Sheridan Seyfried. The opening selection will be Gabriel Fauré’s Opus 45 (second) piano quartet in G minor. Friday, February 8, 8 p.m.: Harpsichordist Faythe Vollrath will present a program consisting entirely of music from the twentieth and 21st centuries. The previous century will be represented by Toru Takemitsu (“Rain Dreaming”) and Lou Harrison’s sonata. The newest work on the program will be “Pajdushko” by Sunny Knable. Sunday, February 10, 4 p.m.: The Wooden Fish Ensemble will return to Old First. This group’s repertoire involves a partnership between composer Hyo-shin Na and an eclectic trio consisting of pianist Thomas Schultz, violinist Terri Baune, and koto player Shoko Hikage. They will be joined by two guest artists, pianist Kevin Sun and Yuki Endo, who plays the Japanese transverse flute known as the shinobue. There will be world-premiere performances of three of Na’s compositions, her third “Cloud Study” and the two most recent pieces in her Melody of Wave series. The program will also include five other Na compositions, Galina Ustvolskaya’s sixth piano sonata, and selected folk songs from both Korea and Japan. Friday, February 15, 8 p.m.: Mack McCray has given many compelling solo piano recitals at Old First. This time he will be joined by violinist Madeleine Mitchell and cellist Theodore Buchholz. The program will consist of two of the most significant works in the piano trio repertoire, Ludwig van Beethoven’s Opus 97 (“Archduke”) in B-flat major and Johannes Brahms’ Opus 8 in B major. 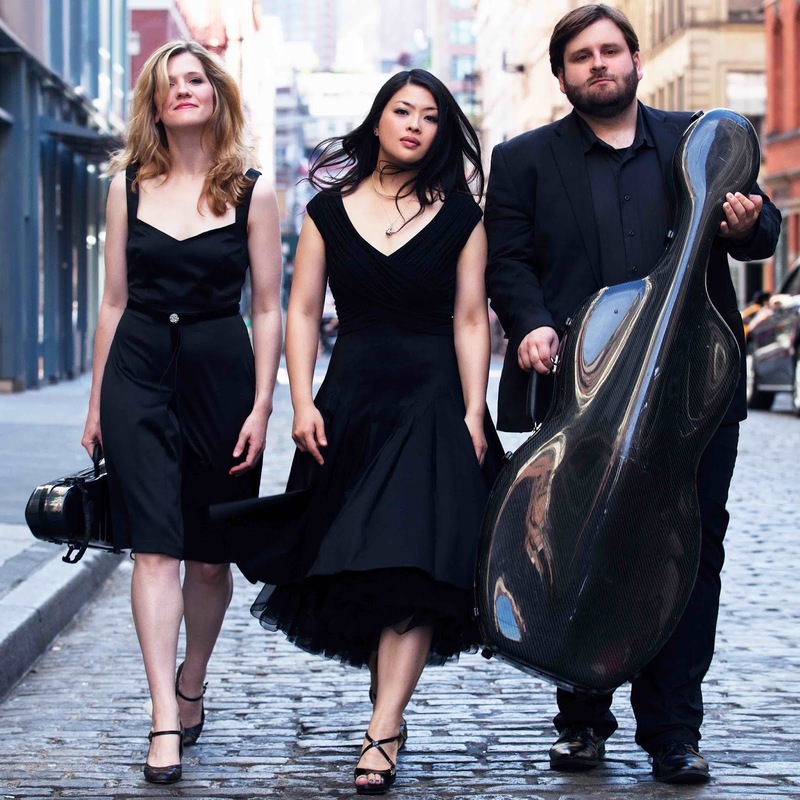 Friday, February 22, 8 p.m.: The Curium trio will return to give its second O1C recital. Apparently the occasion will also mark the group’s first personnel change. Cellist Carlyn Kessler will come on board, playing with violinist Agnieszka Peszko and pianist Rachel Kim. The group will devote the second half of their program to another Brahms trio, his Opus 101 in C minor. However, the first half will continue the trio’s mission to present the works of female composers. They will begin with “Pale Yellow,” the title Jennifer Higdon gave to her first piano trio, composed in 2003. The twentieth century will be represented by Germaine Tailleferre’s only piano trio, originally completed in 1917 but subsequently revised in 1978. This was a good year for listening to recorded music. As I observed at the beginning of this month, the annual GRAMMY award nominations seemed to align more with recordings I had discussed on this site than it had in previous years. Mind you, this is not an endorsement for the overall GRAMMY policy, which, whether we like it or not, is guided more by commercial value than by any aesthetic criteria. Indeed, while the overlap may have been greater, there were really only two albums on the list that really got my juices flowing. One of those was the May release by Palmetto Records of its album of jazz pianist Fred Hersch, entitled simply Live in Europe. This is a trio album that has Hersch playing with John Hébert on bass and Eric McPherson on drums; and it documents a single date in Belgium at Flagey Studio 4, formerly the home for the National Institute for Radio Broadcasting in Brussels. However, I cannot acknowledge this album without also recognizing Palmetto’s second Hersch release at the beginning of this month (probably too late to come to GRAMMY attention for this year). As I wrote just prior to the release, this is a “historically significant” addition to the Hersch discography, since it documents the first time that Hersch performed as a leader at the Village Vanguard in a series of concerts that took place in July of 1997. The second significant GRAMMY nomination was the one that acknowledged A Rhapsody in Blue; the extraordinary life of Oscar Levant. This is an eight-CD anthology that covers all of the recordings that Levant made for Columbia Records, many of which were first distributed as 78 RPM albums. This collection was significant enough that it was the first time that I wrote about it by devoting almost (with only one exception) every article to a single CD. To be fair, there is more than a little unevenness in the merits of the selections across the entire collection; but there is no doubting the historical significance of the tracks on the very first CD, Oscar Levant Plays Gershwin, since Levant is, without a doubt, the only pianist to record the “concert” side of the Gershwin repertoire with personal knowledge of how Gershwin would have wanted it. Thinking back on the experience of listening to this collection, I realize that most of my most memorable listening experiences of the year involved working my way through other collections, all of which were historically significant. One of these even involved a present-day jazz combo, the quartet led by pianist Frank Kimbrough, which included multi-instrumentalist Scott Robinson as leading voice, along with Rufus Reid on bass and Billy Drummond on drums for rhythm. Kimbrough’s objective, however, could not have been more “historical.” It resulted in a six-CD set entitled Monk’s Dreams: The Complete Compositions of Thelonious Sphere Monk, whose title tells you all you need to know. Since the semantics of “complete” can be a bit fuzzy were jazz is involved, Kimbrough’s release sent me to Robin D. G. Kelley’s book, Thelonious Monk: The Life and Times of an American Original to do a “sanity check” on that adjective; and I came away as satisfied with the wording of the album’s title as I was with every track on each of the six CDs. On the classical side the better part of the year was spent recovering from the release of Maria Callas Live: Remastered Live Recordings 1949–1964 by Warner Classics. In writing about this collection, I made it a point to begin by “coming clean” on the fact that “I am not now nor have even been one of those rabid enthusiastic fans of all things Callas.” Fortunately, Sony Classical (which had been responsible for the Levant collection) came to my rescue with Birgit Nilsson: The Great Live Recordings, which was far shorter than the Callas collection but one hell of a lot more gratifying! Clearly, these two sopranos ruled over entirely different domains, to which they brought entirely different vocal qualities; but I know for sure that more future listening hours will be devoted to Nilsson than to Callas. Finally, there was the collection that turned out to anticipate one of the major cultural decisions made here in San Francisco. Between May and July I was occupied with another significant Sony Classical collection, a 61-CD box set of all of its recordings made by conductor Esa-Pekka Salonen. Then, at the beginning of this month, the San Francisco Symphony leadership announced that Salonen would succeed Michael Tilson Thomas as the orchestra’s Music Director, beginning in September of 2020; and, as local readers probably know by now, we shall get our first exposure to Salonen in his new status in a little less than a month’s time. To be fair, when it came to personal appeal, I found more variability in the Salonen collection than in those for Nilsson and Böhm; but much of that has to do with Salonen’s sympathy for a broader range of tastes than I have! Nevertheless, I feel as if Sony did me a great favor in allowing me the ability to appreciate the extent of Salonen’s repertoire, thus preparing me for regular concert-going at Davies Symphony Hall once his tenure begins. While, for a variety of reasons, I no longer attend events in the Noontime Concerts series regularly, every now and then I see some need to call out a concert that will be taking place or one that did attend. Indeed, one in the latter category turned out to be my “most memorable concert” for the month of March this year. Therefore, I wanted to note that one of the current piano trios “on the rise” will be visiting the series next month. 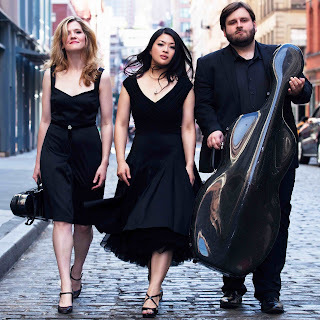 The ensemble is the Neave Trio, which was formed in 2010, taking its name from the Gaelic word for “bright” and “radiant.” The members are violinist Anna Williams, cellist Mikhail Veselov, and pianist Eri Nakamura. The group came to my attention last month when Azica Records released their latest album, Celebrating Piazzolla. That album will be featured with a performance of Astor Piazzolla’s Estaciones Porteñas (liberally translated as “the four seasons of Buenos Aires”). These were composed for Piazzolla’s quintet of violin (doubling on viola), piano, electric guitar, bass, and bandoneon; and Neave plays an arrangement composed by Piazzolla’s close colleague, José Bragato. This music, which dates from the middle of the twentieth century, will be complemented by a performance of one of Claude Debussy’s earliest compositions, his G major piano trio, written in 1880 when he was eighteen years old. This performance will begin at 12:30 p.m. on Tuesday, January 22. Noontime Concerts events take place at Old Saint Mary’s Cathedral, located at 660 California Street, on the northeast corner of Grant Street. There is no charge for admission, but this concert series relies heavily on donations to continue offering its weekly programs. It did not take me long to identify the locus of those ventures. It was (at this point try to imagine the tone of voice that colored the word “plastics” in The Graduate) “easy listening!” Given that the track selections include “In A Sentimental Mood,” “Song For My Father” (in two different versions), and “Stolen Moments,” my only reaction was (this time remember the “Where’s the beef?” lady), “Where’s the jazz?” Clearly, it escaped Garfield’s box, presumably to high-tail it to someplace inhabited by cats more interested in making jazz! I see that this year’s month-by-month account of the most memorable concerts I attended during 2018 is being written several days later than last year’s. This is because my concert-going schedule lasted longer into the month of December than it did last year. I did not want to let anything escape my notice; and I am glad I made that decision. The fact is that there were several vigorous contenders for the most memorable concert of December, but I definitely benefitted by waiting until all of them had been given a fair shake. January: Audrey Vardanega’s Old First Concerts (O1C) Recital. I have been doing my best to follow the development of Vardanega’s career, primarily as a pianist, since I first encountered her as a Midsummer Mozart soloist. (I say “primarily” because, on that initial occasion, when she was not serving as the piano concerto soloist, she was playing in the violin section.) She has made several O1C appearances; and, unless I am mistaken, she has always had the company of fellow soloists. On this occasion her companions were violist Gonzalo Martin Rodriguez and cellist Chase Park. The three of them played Johannes Brahms’ Opus 114 trio in A minor with Rodriguez performing the part originally written for clarinet, as he had already done in a performance of the first (in F minor) of the Opus 120 sonatas that Brahms had also composed for clarinet. Park, in turn, was accompanied by Vardanega in a performance of the first and third movements of Sergei Rachmaninoff’s Opus 19 sonata (which Rachmaninoff had explicitly described as giving equal priority to both cello and piano). This recital took place early in the month; but, almost a year later, the memory is still vivid. February: Left Coast Chamber Ensemble (LCCE) presents Olivier Messiaen’s “Visions de l’Amen.” LCCE took on several ambitious undertakings in 2018, but this was the one that fixed itself most firmly in memory. This was one of the first pieces that Messiaen wrote for Yvonne Loriod, who was not yet his wife at the time; and he scored it for two pianos, taking the second piano part for himself. LCCE pianist Eric Zivian partnered with guest artist Sarah Cahill; and, to the best of my knowledge, this was my second encounter with a concert performance. I am not ashamed to admit that I cannot get enough of it. Furthermore, as readers will discover when this article advances to October, I feel the same way about many other Messiaen compositions! March: Albany Consort’s instrumental arrangement of BWV 988. Every year Noontime Concerts sets aside a slot for the celebration of the birthday of Johann Sebastian Bach. The first time I attended one of these events, the performers were members of the Albany Consort, co-founded by Jonathan Salzedo and his wife Marion Rubinstein in 1974. Over the years I realized that this group seldom performs in San Francisco, meaning that I had few opportunities to follow their activities. This year they returned to Noontime Concerts for another birthday gig, playing Salzedo’s arrangement for string ensemble of Bach’s set of 30 (“Goldberg”) variations on an aria theme. I have encountered a variety of different approaches to performing BWV 988, but this one was as satisfying as it had been perceptively imaginative. April: Henry Cowell’s “world” explored by Bard Music West (BMW). Bard Music West is the result of Artistic Directors Allegra Chapman and Laura Gaynon decided to provide the Bay Area with a composer-centered festival similar to the one offered every summer on the campus of Bard College at Annandale-on-Hudson in New York. The idea is to select a composer to serve as a “center point” around which other related composers “orbit.” In 2018 that “central” composer was Henry Cowell, who spend much of his life in the Bay Area. The “orbiting” composers included (among others) John Cage, Lou Harrison, and Charles Ives. (Ives’ music was first published in Cowell’s New Music Quarterly; and Cowell, together with his wife Sidney, wrote the first Ives biography.) Thus, while there was much to enjoy in discovering Cowell’s compositions, one of my personal high points came with the performance of Ives’ piano trio by Chapman on piano, Gaynon on cello, and Luosha Fang on violin, reminding me, somewhat poignantly, of how seldom I get to hear this composition in performance. May: The final concert of the Volti season. It seems as if I cannot fit performances by the Volti a cappella choir into my schedule as often as I would wish. This group, conducted by Artistic Director Robert Geary, has the motto “Singing without a net;” and those programs I have managed to experience have been consistently adventurous. The title of this particular concert was Bay and Beyond; and it featured Playbook Choruses by Danny Clay, the composer selected for the season’s Choral Arts Laboratory, a commissioning and residency program for American composers under the age of 35. Clay’s collection of three pieces was based on guided improvisation (with the conductor participating as much as the singers). It was probably the first time I had experienced improvisation by an a cappella ensemble, and the results were memorable in more ways than I can enumerate! June: Curium’s O1C debut recital. The Curium piano trio was founded around the middle of 2017 by violinist Agnieszka Peszko, cellist Natalie Raney, and pianist Rachel Kim. Its name comes from the 96th element in the periodic table; but the intention seems to have been to honor Marie Curie, for whom that element was named, since the trio has developed a repertoire around female composers, both past and present. Appropriately, their O1C debut included both Clara Schumann and Kaija Saariaho. I was particularly struck by the Saariaho selection, “Light and Matter,” an interest that was subsequently reinforced when I encountered the piece on Jennifer Koh’s Saariaho X Koh recording. I have to say that I have trouble resisting smug satisfaction when I encounter a recording that recognizes the value of composition I had previously known only through performance! July: Adam Shulman at the Red Poppy Art House. This turned out to be a good year for jazz listening for a variety of reasons, one of which had to do with the San Francisco Jewish Film Festival screening Blue Note Records: Beyond the Notes. Pianist Shulman, leading a quartet whose other members were Patrick Wolff on saxophones (both alto and tenor), Miles Wick on bass, and James Gallagher on drums, prepared a program entitled Forgotten Gems from the Bebop Era; and, to borrow a phrase from my composition teacher, I was in hog heaven! I was particularly delighted with Shulman’s decision to feature three tunes by Thelonious Monk that I had previously known only from recordings. August: Lavay Smith at Biscuits and Blues. I have to confess that this item is on the list only partly on musical grounds. Smith is a regular at Biscuits and Blues. However, in this case the performance marked the first time I had made it to a concert venue away from my home (on crutches) following my accident. This was not my first encounter with Smith, who is one of my favorite departures from my usual interest in bebop. Her “book” takes its sources from Count Basie, Jimmy Rushing, Joe Williams, Helen Humes, Lester Young, Jay McShann, Walter Brown, Jimmy Witherspoon, Myra Taylor, and Big Joe Turner. I could not always keep up with what she was performing; but I have to thank Smith’s pianist Chris Siebert for clearing up several inaccuracies in the piece I wrote (all of which were then included as amendments to the original). September: San Francisco Opera (SFO) integrates “Cav” and “Pag” into a single narrative. 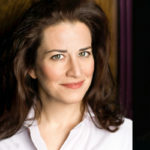 For the opening production of SFO’s 96th season, director José Cura conceived of a single set that would present the double bill of Pietro Mascagni’s “Cavalleria Rusticana” (rustic chivalry) and Ruggero Leoncavallo’s “Pagliacci” (clowns) as two episodes unfolding in a single small Italian village. It was not so much that the narrative of “Cav” was continued by “Pag.” Rather, because “Pag” is about a troupe of traveling players, they could be viewed as wandering into a place that had just experienced a tragedy of homicide. (The village funeral procession was the first thing the audience saw when the curtain rose on “Pag.”) For those who like metaphors, it was as if the warhorse was charging into a new battlefield; and the result was anything but a here-we-go-again experience at the opera. October: More Messiaen comes to O1C. Another throughly engaging account of Messiaen’s music was provided by the members of the Vinifera Trio: violinist Rachel Patrick, clarinetist Matthew Boyles, and pianist Ian Scarfe. Scarfe prepared a video introduction, which provided background about both Messiaen and the major work on the program, the “Quatuor pour la fin du temps” (quartet for the end of time). The trio was joined by cellist James Jaffe for this performance; but the quartet was preceded by Scarfe playing the first movement of a cycle of solo piano compositions that Messiaen entitled Vingt Regards sur l'enfant-Jésus (twenty contemplations on the infant Jesus). This provided a bit of “ear training,” allowing listeners to get used to Messiaen’s sonorities before they were deployed in the much longer quartet. November: The Living Earth Show’s program of nine “American” compositions. For those unfamiliar with this group, The Living Earth Show consists of guitarist Travis Andrews and percussionist Andy Meyerson, both of whom are not only thoroughly skilled at their instruments but also proficiently adept at mastering alternative techniques. They presented a program of works written on commission by a collection of nine living composers, each of whom was born in, immigrated to, or utilizes the musical traditions created within the current borders of the United States. The diversity of these selections demanded an equivalent diversity of technical proficiencies for the sake of execution, making the discipline that the players brought to the music as engaging as the extensive imaginative qualities of the music itself. As was the case this past June, my listening schedule turned out to be such that I could not keep up with the month-by-month releases in Satoko Fujii’s “Kanreki Cycle” conceived to honor the year of her 60th birthday. This time, however, I am accounting for the last two releases in the series; and those two releases have some interesting commonalities. Most importantly, they both present Fujii solely as a composer whose music is being performed by others. The November release consists of short compositions for solo piano, all played by classical pianist Yuko Yamaoka. The December release, on the other hand, is another Satoko Fujii Orchestra recording, this time of the ensemble Satoko Fujii Orchestra Tokyo. Because this consists only of saxophones, trumpets, trombones, and a rhythm section of bass and drums, Fujii is not one of the performers. This article is also a landmark occasion, because, as anyone following the above hyperlinks will discover, Amazon.com finally seems to be catching up with creating Web pages for Fujii recordings! The full title of the solo piano album is Diary 2005–2015: Yuko Yamaoka plays the music of Satoko Fujii. Since 2005 Fujii has made it a routine that, before sitting down to practice her piano technique, she would devote fifteen minutes to practicing composition. Each of these efforts would be logged into a diary, identified only by the date of the entry. The Diary album consists of 118 of those entries, entered into the diary between January 28, 2005 and March 13, 2016 (that last being the only entry that goes beyond the “boundary” of the album’s title). I made it a point to identify Yamaoka as a “classical” pianist, because, in my personal collection, I have decided to log these pieces as “classical compositions,” rather than “jazz performances.” That is the way I classify the piano preludes of George Gershwin, and I see no reason why these pieces should receive different treatment. However, because of their brevity and pedagogic foundations, I would say that these pieces have more in common with the Mikrokosmos collection of Béla Bartók than they do with anything that Gershwin ever wrote. Given the approach that Fujii took, it is reasonable to appreciate that all of these pieces are brief. The longest is a little more than two and one-half minutes in duration, while the shortest takes only sixteen seconds. More interesting, however, is the diversity of different techniques that Fujii documented over the course of this decade of effort. Some of the pieces involve a simple (but sometimes atonal) melodic line. Others amount to taking basic lessons in species counterpoint and putting them into practice. Still others involve full-handed homophony; and at least one (if memory serves well) involves a tone cluster. The Orchestra album, on the other hand, is a collection of six compositions, four by Fujii and two by her husband, the trumpeter Natsuki Tamura. 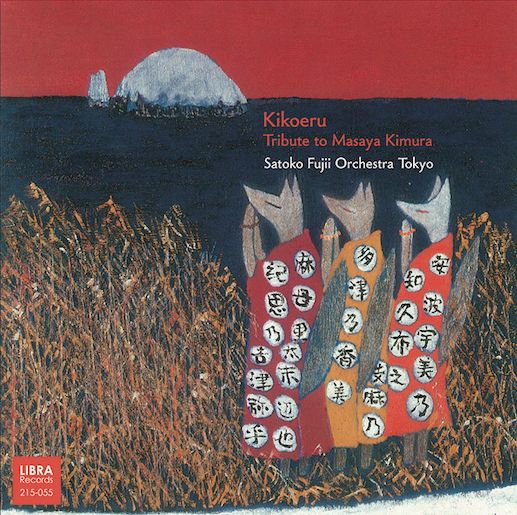 The title of the album is Kikoeru, which is Japanese for “can hear.” The album was conceived to serve as a memorial for the tenor saxophonist Masaya Kimura. That tribute is most evident in the second track, Fujii’s “Farewell,” which features an emotionally intense accompaniment to a full-throated solo by tenor saxophonist Kenichi Matsumoto. Tamura’s two tracks, on the other hand, the last two on the album, tend to go over the top, almost to the point of throwing even the slightest suggestion of discipline to the winds. Taken as a whole, one might almost call the album Six Ways of Remembering the Dead, acknowledging that memorial need not be limited to outpourings of grief. Yes, Virginia, there is a Christmas Eve edition of Bleeding Edge activities for the week. Mind you, they are pretty sparse; and this Thursday’s LSG (Luggage Store Gallery) Creative Music Series concert has already been announced on this site. On the other hand, for those who have not already made other plans, Bird & Beckett Books and Records will be hosting a “bleeding edge” New Year’s Eve party. As they have put it on their Web page, a trio of the “finest jazz monsters in San Francisco” will bid good riddance to 2018 with a program entitled Rockin’ (Jazzy) New Year’s Eve. The combo will be an organ trio led by Darren Johnston on trumpet with Wil Blades on organ and Hamir Atwal on drums. This gig will begin at 7:30 p.m. on Monday, December 31. Like other jazz concerts at Bird & Beckett, it should run until about 10 p.m., providing time to find another venue to wait for the clock to strike midnight. Bird & Beckett is located at 653 Chenery Street, a short walk from the Glen Park station for both Muni and BART. The cover charge will be $25, and it will include free food and drink. However, space is limited; and demand will likely be high. So twenty tickets will go on sale in advance at the shop beginning this Wednesday, December 26. 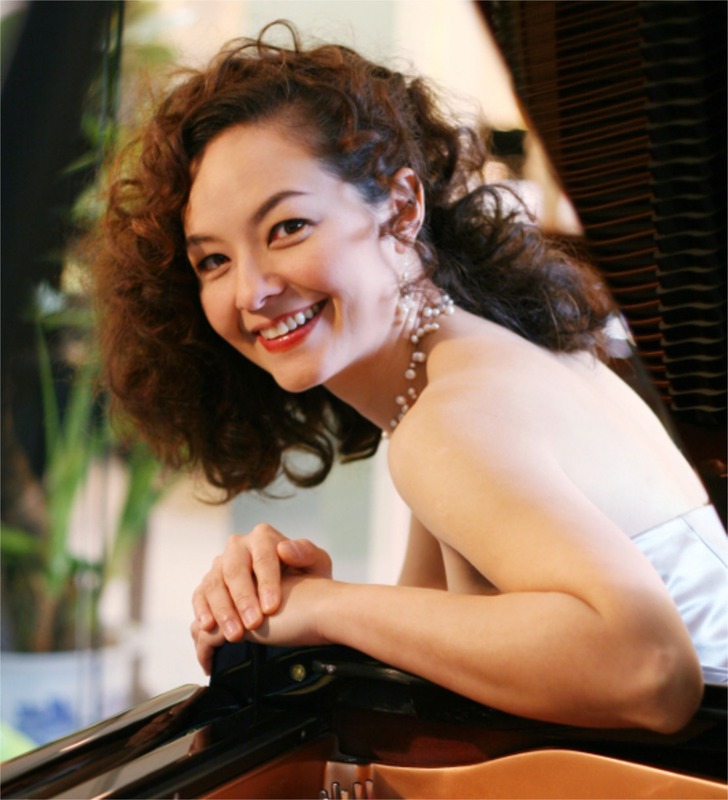 Yesterday afternoon at Old First Presbyterian Church, Old First Concerts concluded its month of holiday offerings with a solo piano recital by Steinway Artist Sandra Wright Shen. The program was a disconcertingly uneven one, significantly marred by the ill-prepared and poorly delivered chatter that Wright injected between her performances. As to the programming itself, she was at her best when she departed from music that could be called Christmas-themed. The high point of the program came just before the intermission with a performance of “Les jeux d’eaux à la Villa d’Este” (the fountains of the Villa d’Este) from the “third year” of Franz Liszt’s Années de pèlerinage (years of pilgrimage) collection. Wright performed with impressive dexterity and a sense of phrasing through which the music emerged as more than a jumble of notes. Those virtues were also evident at the conclusion of the program in her execution of Frédéric Chopin’s Opus 20 (first) scherzo in B minor, selected because the middle section was based on a Polish Christmas carol. Liszt also contributed to the holiday spirit with four of the ten pieces collected under the title Weinachtsbaum (Christmas tree), each of which was based on a Christmas carol. However, while these selections were based on familiar themes, Wright’s musicianship fell short of her account of the more demanding Liszt selection. 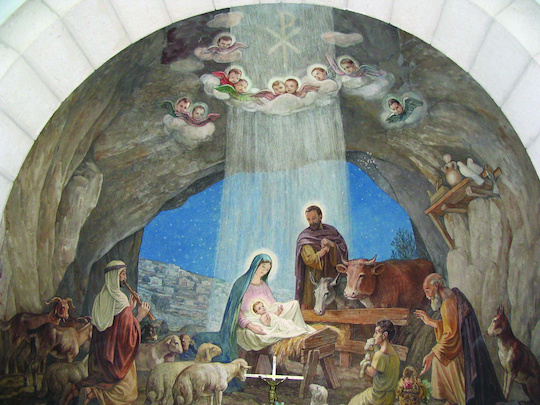 The remainder of the program was, for the most part, disconcerting, with two egregious disappointments rising above any of the “lesser peaks.” The Holiday Spirit was probably served most poorly by Wright’s decision to perform “Le baiser de l’Enfant-Jésus” (the kiss of the infant Jesus) from Olivier Messiaen’s monumental suite Vingt Regards sur l’enfant-Jésus (twenty contemplations on the infant Jesus). This is music for which even the most skilled dexterity is not enough. There is a semantic layer that is so rich with both denotation and connotation that Messiaen prepared roughly three pages of explanatory notes, which serve as a preface for the Durand publication of the score. Between her rambling verbal comments and her execution, the evidence was pretty strong that Wright had not paid very much attention (if any) to Messiaen’s background material. From a strictly musical point of view, this was most evident in her failure to recognize the fundamental “thème de Dieu” (God theme), which is subjected to an impressive number of (transcendental?) transformations in the “Nativity Scene” of the movement she selected. Having had the opportunity to experience Messiaen’s music performed by several far more competent pianists (Yvonne Loriod, alas, was not one of them), the vacuity of Wright’s reading of the score struck me as particularly disconcerting. Indeed, it was far more disconcerting than the other major disappointment, Johann Sebastian Bach’s BWV 829 partita in G major. Perhaps this is because I am cynical enough to begin with the hypothesis that only a handful of pianists are capable of playing Bach in a manner that is as expressively relevant as it is technically precise. For this selection Wright’s pre-performance babble dwelled on the dance forms and never seemed to rest on any solid foundation of dance history. It was therefore no surprise that there was hardly anything “dance-like” in her approach to the six movements given dance titles. The only good news from this performance was that she did not take any repeats, making the entire experience about half as long as it could have been. The Joe Henderson Lab of the SFJAZZ Center can join the ranks of Old First Concerts and the Center for New Music in having a list of events for this coming January that will not have to deal with conflicting options. Sadly, two of those events has already sold out all of their tickets; and, just as sadly, Henderson concerts will not begin until the middle of next month. So now seems like a good time to account for them before the tickets are gone for the rest of those events. Like most of the Henderson offerings, all of these concerts will be given twice on the same evening, at 7 p.m. and 8:30 p.m., respectively. The last of them will also have a total of eight performances (at the same times) on four successive evenings. Each offering has its own event page, which has separate hyperlinks for purchasing tickets to the different concerts. Each of the dates in the enumeration below will have a hyperlink to the appropriate event page. The SFJAZZ Center is located at 201 Franklin Street, on the northwest corner of Fell Street. Saturday, January 19: January will begin at the Henderson Lab with a series called Sing, Sing, Sing I, which will feature four female vocalists. Unfortunately, tickets are no longer available for the first two of those vocalists, Pamela Rose and Kat Edmondson. The third is San Francisco’s own Lori Carsillo, whose repertoire has brought the torch song into the 21st century. She brings emotionally restrained, unfussy sensibility to her interpretations of classic ballads. However, she also performs with Project: Pimento, which describes itself as the first “Theremin-lounge band.” (For those gigs Carsillo performs under the name Lola Bombay.) Her accompaniment at the Henderson will be more conventional, a quartet led by Adam Shulman at the piano with rhythm provided by Jeffrey Burr on guitar, Eric Markowitz on bass, and Vince Lateano on drums. Sunday, January 20: The final vocalist in the Sing, Sing, Sing I series definitely deserves to be classified as “legendary.” Now in her ninth decade, Sheila Jordan has been recognized as an NEA Jazz Master. Her career began in Detroit in the Forties, where, like many of that time, she fell under the spell of saxophonist Charlie Parker, who would subsequently champion her own efforts. Her 1963 debut album for Blue Note in 1963 was history-making, since it was that label’s first release of a vocalist. Her Henderson program will have only one instrumental accompanist, Cameron Brown on bass. Thursday, January 24–Sunday, January 27: This will be a four-night celebration of the 30th anniversary of the trio of guitarist Peter Bernstein, organist Larry Goldings, and drummer Bill Stewart. The group now has the honor of being the longest-lived and most virtuosic organ trio in existence. 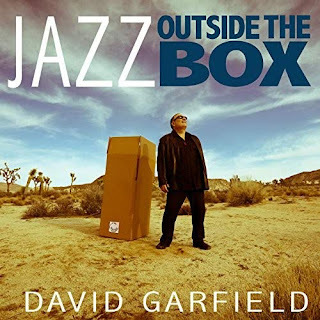 The group’s roots were planted in the organ trio tradition of Jimmy Smith, Jack McDuff, and Larry Young; but they have used the repertoire of these past masters to venture into fresh and exciting new territory. Much of the repertoire for their eight performances will be drawn from their latest album on the Pirouet label, Toy Tunes. Last night at St. Mark’s Lutheran Church Voices of Music presented its annual Holiday Concert. As usual the program featured a performance of the eighth of the twelve concerti grossi in Arcangelo Corelli’s Opus 6 collection of twelve. 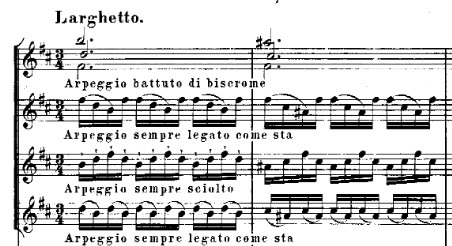 Corelli’s score for this particular concerto includes the inscription “Fatto per la notte de Natale” (made for the night of Christmas); and it is popularly known as the “Christmas Concerto.” The program also included the “Autumn” and “Spring” concertos from Antonio Vivaldi’s The Four Seasons, the third and first of the four concertos that begin his Opus 8 collection Il cimento dell’armonia e dell’inventione (the contest between harmony and invention), as well as the B minor concerto for four violins and cello (the tenth) in the Opus 3 collection L’estro Armonico (harmonic inspiration). The other composers included on the program were Giuseppe Torelli and Georg Philipp Telemann. The performance was also distinguished by a phenomenon that one of my former students liked call “lowering the average age” of the group. Cellist Adaiha Macadam-Sommer, who won the Voices of Music 2012 Bach Competition was making regular appearances with the group until her move to Portland, Oregon; but she returned for both solo and ensemble work last night. Dominic Favia, first seen playing trumpet for American Bach Soloists in April of 2016, was on hand for concertos by Torelli and Telemann. In addition, violinist Alana Youssefian, an alumna of the Historical Performance program at the Juilliard School, who performed with the Philharmonia Baroque Orchestra a little over a month ago, also divided her time between solo and ensemble performing. Finally, there were two entirely new faces in the violin section, Augusta McKay Lodge (another Juilliard alumna) and Amy Wang, both of whom also had solo opportunities in the Vivaldi four-violin concerto. The evening also served as a landmark in the Voices of Music efforts to provide informative video documents of the group’s performances. With the video recording of the two Four Seasons concertos, the Voices of Music YouTube channel will soon have a complete documentation of performances of all of the concertos in that collection. As always, St. Mark’s was decked out with a generous number of cameras, all positioned to facilitate capture of the different “centers of activity” that arise over the course of these two concertos. Finally, Youssefian provided the audience with a delightful “dessert course” as the soloist in a performance of Vittorio Monti’s “Csárdás.” Composed in 1904, this piece has become the staple offering of just about every gypsy orchestra. Clearly, this particular piece was not given a “historically informed performance.” Nevertheless, Hanneke van Proosdij’s recorder work provided just the right amount of spice to highlight Youssefian’s impressive virtuoso turns as soloist. Next month San Francisco Performances (SFP) will continue its The Art of Song Series with the one of the four concerts that will honor the liederabend tradition. It will also feature the return of a duo that was a high point in the Vocal Series of the 2015–2016 series. English tenor Mark Padmore will return for his fifth SFP performance, accompanied again by pianist Paul Lewis, who has performed for SFP not only as an accompanist but also as a soloist. They have prepared a program that will present three of the leading composers in the German/Austrian art song tradition with a slight departure in that tradition for one of those composers. That composer will be Robert Schumann. They have prepared a performance of his Opus 48 Dichterliebe (poet’s love) song cycle that will include two songs not originally contained in the work’s initial 1844 publication. This will be presented as the second half of the program. The first half will begin with five songs by Johannes Brahms selected from his Opus 71, Opus 85, and Opus 96 collections. This will be followed by the songs in Gustav Mahler’s Rückert-Lieder collection. This recital will take place at 7 p.m on Sunday, January 13. Tickets are on sale for $70 for premium seating in the Orchestra and the front of the Dress Circle, $55 for the remainder of the Orchestra, the remainder of the center Dress Circle, and the Boxes, and $45 for remaining seats in the Dress Circle and the Balcony. Tickets may be purchased online in advance through a City Box Office event page. Last year the University of California Press published a volume whose title almost read as if it had been generated by a computer. In fact, however, Animation, Plasticity, and Music in Italy, 1770–1830 was the published version of the doctoral dissertation written by Ellen Lockhart to conclude her graduate studies at Cornell University. The book presents Lockhart as a researcher who is not afraid to dive deep into her sources and then return to the surface to account for her findings in clearly accessible language. On the other hand the very nature of her subject matter stands as an indicator of how difficult it has become to come up with original thesis material than can be discussed and defended through a degree-worthy dissertation. I argue that from 1770 to 1830, the animated statue was not only a figure of spectatorial engagement—as an object shaped like a human body, inviting aesthetic attention from the human body, and curing a corresponding animation within the human body—but also a means of understanding the relation of human senses to the self and to the very matters and materials of the fine arts. Those who follow this site know that I am not one to recoil from a lengthy sentence; and, for what it is worth, the adjective “spectatorial” can be found on an Oxford Living Dictionaries Web page, even if it is there only as the adjectival form of “spectator!” More interesting, however, is the universality of the topic, extending beyond music to the fine arts in general. This past summer, when writing about the Profil album of the complete operas of Pyotr Ilyich Tchaikovsky, I recalled the joke about a one-sentence book report written by a sixth grader: “This book told me more about penguins than I would ever want to know.” When it comes to animated statues, most of us think immediately (if not exclusively) of Wolfgang Amadeus Mozart’s K. 527 opera Don Giovanni. First performed in 1787, that opera fits comfortably into Lockhart’s time frame; but it receives relatively little attention in her book. Pride of place instead goes to the musical dramatization of the Pygmalion myth, best known from Ovid’s account in his Metamorphoses. However, Prometheus also figures in the examples that Lockhart explores, which include Ludwig van Beethoven’s 1801 Opus 43 score for the ballet The Creatures of Prometheus, based on a libretto by Salvatore Viganò. For the most part, however, many readers will find most of the names that emerge in this book to be as unfamiliar as Viganò’s. Personally, I feel that the one name that deserves more attention is that of Étienne Bonnot de Condillac, whose Traité des sensations was written in 1754. A disclaimer is appropriate here: When I entered the Massachusetts Institute of Technology (MIT), I was informed that those of us with knowledge of French had the option of taking our four semesters of introductory humanities in French, rather than in English. As a result I was fortunate enough to encounter Condillac’s treatise in the spring of my freshman year, and my copy of that book is still on my shelf! Given the state of knowledge in the middle of the eighteenth century, Condillac was a major pioneer in the domain of psychology as we now know it and the philosophical side of what has come to be called “cognitive science.” His treatise took a “bottom-up” approach to an analysis of sensation. He begins by asking the reader to imagine a statue. He then augments that statue by providing it with a single sensory organ, the nose and describes the effect this partial animation, so to speak, will have on the statue. He then works he way systematically through the other four senses before then turning to what happens when the sensory organs then interact among each other. Lockhart basically treats Condillac’s analysis as a “recipe” for the sort of “animation” she cites in her title. Ultimately, however, I did not come away convinced that Condillac’s insights had much to do with the musical examples she presented, particularly the operatic ones. Far more significant were the examples she cited of how a “statue figure,” such as Galatea, acquires a sense of self and the ways in which different composers could lend expressive power to the delivery of a mere first person pronoun. Lockhart also includes a chapter on sensory deprivation, which struck me as valuable for shifting the domain of discourse from general questions of self to the more specific issue of time consciousness. She pays particular attention to how the blind can only perceive objects “diachronically,” usually by applying the sense of touch to different parts of the object over a span of time. She then asks whether there might be a “spatial” way to perceive music the way a sighted person recognizes an object in an instantaneous glance. This is the one place in which Lockhart’s background scholarship turns out to be lacking. There is (and has been for some time) a shape-based approach to the representation of a time-dependent audio signal. It is known as a sonogram. It is basically a graph with time as the horizontal axis and frequency on the vertical. It essentially provides an instant-by-instant representation of the spectral content of a sound. 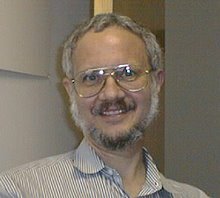 I once attended a lecture by a specialist in computer-based speech recognition, who supposedly could look at a sonogram and “read” the text being uttered by the data sample; but I never saw him actually demonstrate this skill. (The MIT Media Lab explored the possibility of accounting for mapping two independent dimensions along the time line through a rectangular solid called a “micon.”) Andrew Bregman wrote an entire book entitled Auditory Scene Analysis: The Perceptual Organization of Sound about the interpretation of sonograms, but the book never made a convincing case that his techniques would account for perceiving music. Personally, I am not entirely convinced that Lockhart’s book follows through on the thesis statement quoted above. On the other hand it presents a highly engaging account of both social and intellectual contexts during that period of transition from the eighteenth century to the nineteenth. If most of the members of Lockhart’s “cast of characters” tend to be obscure, the roles they played in a changing artistic frame of reference are still worthy of consideration. The SFRV reflection on this British tradition has involved a tradition of its own, which is the interleaving of music from the past with that of the recent present. The latter will be represented by “Ring Out, Wild Bells,” a setting of the poem of the same name by Alfred, Lord Tennyson, composed on commission by Kyle Hovatter. Hovatter has become one of our city’s rising talents in the composition of vocal music, both solo and choral; and he is currently Director of Music at Zion Lutheran Church. The guest conductor for the occasion will be another rising local talent, Derek Tam, Music Director of both MUSA and Ars Minerva and last seen in San Francisco conducting the Ars Minerva production of Giovanni Porta’s opera Ifigenia in Aulis less than a month ago. There will also, of course, be plenty of familiar carols to sing, for which Stacy Cullison will provide organ accompaniment. SFRV will present this event as part of their role as Artists-in-Residence at the Episcopal Church of the Incarnation, located in the Sunset at 1750 29th Avenue, about halfway between Moraga Street and Noriega Street. To repeat, this will be a free event. Nevertheless, this has traditionally be a popular event; and last year’s performance was standing room only when it began. As a result, reservations are strongly recommended; and they may be made through an Eventbrite event page. Those who follow this site regularly probably know that I try to keep up with the activities of instrument inventor Tom Nunn, most of whose performances involve playing on boxes on top of which everyday physical objects have been attached, which are then played through contact with other everyday physical objects. Nunn calls these instruments skatchboxes, and watching him perform frequently enhances the experience of listening to the sounds he creates. Regardless of such visual impact on listening to Nunn’s performances, he has released several recordings, one of which, Second Sight, was made with his Ghost in the House quartet and was discussed on this site in July of 2017. Ghost in the House brings two skatchbox players, Nunn and David Michalak, together with two “conventional” instrumentalists, oboist Kyle Bruckmann (who is particularly talented in his command of extended techniques) and percussionist Karen Stackpole. Nunn also performs as half of the Music for Hard Times duo, joined by Paul Winstanley, another performer with an inventive approach to extended techniques, which he applies to his electric bass. 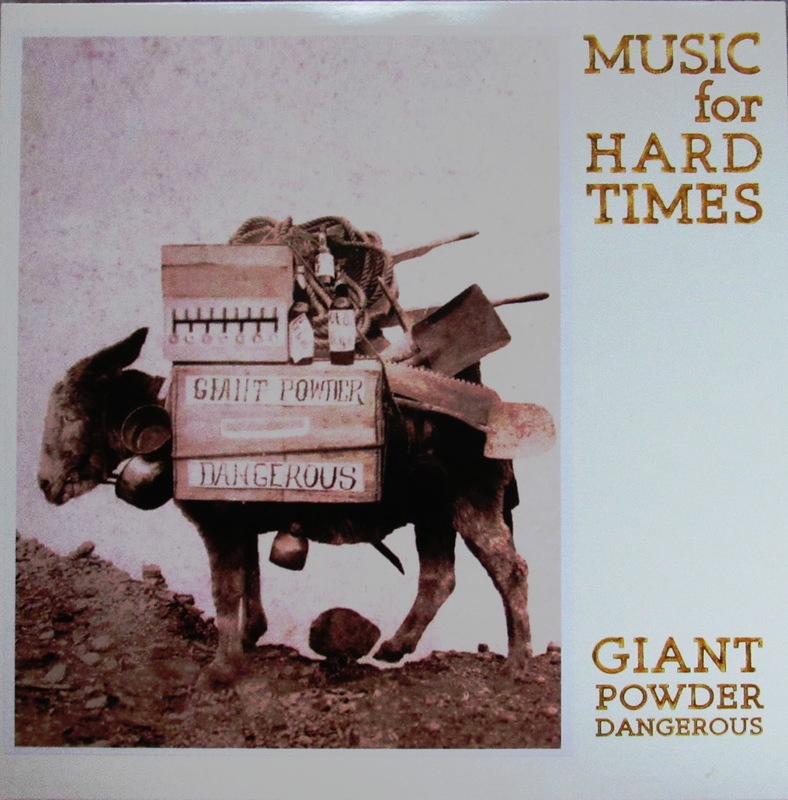 The two of them recently completed a recording entitled Giant Powder Dangerous, which is currently available for digital download or as a vinyl recording through a bandcamp Web page. For this recording Nunn uses a variation on his usual skatchboxes, which he calls the skatchplate, suggesting that he is now working on a different type of surface with new acoustical properties. The feature that most distinguishes Nunn’s instruments is the absence of a well-defined pitch, making them basically an extension of percussion instruments with the same quality, such as drums, tambourines, and triangles. However, unlike most music for such percussion instruments, there is also a free approach to rhythms that one might almost call discursive, closer to the everyday speaking voice than to a singing one. To complement Nunn’s performances, Winstanley almost entirely departs from drawing upon the familiar pitch qualities of his instrument, drawing instead upon physical approaches to both the body and the strings that tend to reflect Nunn’s own sonorities. Thus, with only occasional exceptions over the course of the five tracks of this album, the effect on listening is one of a single instrument whose overall rhythms amount to more than a single performer would be able to manage. 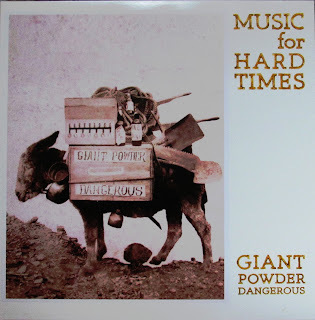 While I still feel that the visual element contributes much to Nunn’s playing his own invented instruments, Giant Power Dangerous has more than enough to engage the attentive listener and tweak that listener’s imagination. January 11–13: Conductor Jaap van Zweden made his SFS debut in February of 2014, when he was Music Director of the Dallas Symphony Orchestra. He will return as Music Director of the New York Philharmonic, and he has prepared program that promises to be a feast for attentive listeners. SFS Principal Clarinet Carey Bell, who gave a thoroughly engaging account of Wolfgang Amadeus Mozart’s K. 581 clarinet quintet in A major this past Sunday, will perform Mozart’s other major composition for clarinet, the K. 622 concerto in A major, completed in the year of his death. The second half of the program will then be devoted entirely to Anton Bruckner’s fifth symphony. This concert will be given three performances, at 8 p.m. on Friday, January 11, and Saturday, January 12, and at 2 p.m. on Sunday, January 13. There will be an Inside Music talk given by Scott Foglesong that will begin one hour before the performance. Doors to the Davies lobbies open fifteen minutes before the talk begins. Ticket prices range from $20 to $156. They may be purchased online through the event page for this program on the SFS Web site, by calling 415-864-6000, or by visiting the Davies Box Office, whose entrance is on the south side of Grove Street between Van Ness Avenue and Franklin Street. The event page also has an embedded sound file of KDFC’s Rik Malone’s podcast about the Bruckner symphony, as well as another file of sound clips from previous SFS performances of that symphony. Flash must be enabled for both streamed content and online ticket purchases. The Box Office is open from 10 a.m. to 6 p.m., Monday through Friday, from noon to 6 p.m. on Saturday, and two hours prior to Sunday performances. January 24–26: Christian Reif is now in his final season as SFS Resident Conductor and Wattis Foundation Music Director of the SFS Youth Orchestra. He has prepared a “standard” overture-concerto-symphony program. The concerto soloist will be the German-Canadian cellist Johannes Moser, who will be featured in the first SFS performances of Witold Lutosławski’s cello concerto. (This will replace the previously announced performance of Andrew Norman’s cello concerto, which has been postponed to a later date.) The overture will be Richard Strauss’ Opus 20 tone poem “Don Juan;” and the symphony will be Sergei Prokofiev’s Opus 100 (fifth) symphony in B-flat major. This concert will be given three performances, all at 8 p.m. on Thursday, January 24, Friday, January 25, Saturday, January 26. The Inside Music talk will be given by Peter Grunberg one hour prior to each concert. Ticket prices range from $20 to $166, and an event page has been created for online purchase. The event page also has an embedded sound file of KDFC’s Rik Malone’s podcast about the Prokofiev symphony and sound clips of previous SFS performances of that symphony. January 31–February 2: Conductor Laureate Herbert Blomstedt will make his annual return to the Davies podium. He will conduct two nineteenth-century symphonies, both of which were inspired by travel and nature. The first of these will be Ludwig van Beethoven’s Opus 68 (Pastoral) in F major. The intermission will then be followed by Felix Mendelssohn’s Opus 56 (Scottish) in A major. This concert will be given three performances, all at 8 p.m. on Thursday, January 31, Friday, February 1, Saturday, February 2. The Inside Music talk will be given by James M. Keller one hour prior to each concert. Ticket prices range from $20 to $156, and an event page has been created for online purchase. The event page also has an embedded sound file of KDFC’s Rik Malone’s podcast about both symphonies and sound clips of previous SFS performances, also of both symphonies. In addition, these performances will be preceded by the next Katherine Hanrahan Open Rehearsal. This special behind-the-scenes experience begins at 8:30 a.m. on Thursday, January 31, with coffee and complimentary doughnuts, followed by a half-hour introductory talk by Keller at 9 a.m. The rehearsal itself begins at 10 a.m.; and, of course, the pieces rehearsed are at the conductor’s discretion. General admission is $30 with $40 for reserved seats in the Premiere Orchestra section and Rear Boxes and $45 for seating in the Side Boxes and the Loge. Tickets may be purchased online through a separate event page. 3 Sonatas from 3 Countries (and 3 encores)!